Israel has done it again! 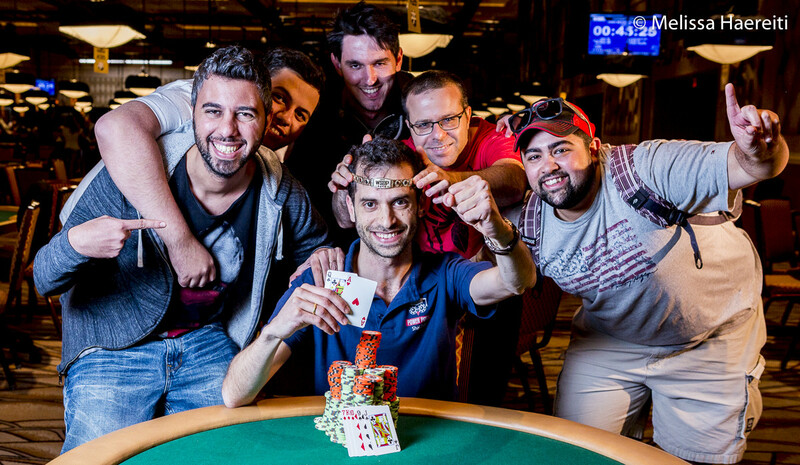 Shai Zurr has become the second Israeli bracelet winner of the summer by capturing gold in Event #65: $1,000 No-Limit Hold'em (30 Minute Levels). Zurr follows in the footsteps of Ben Maya, who won Event #47: $1,500 No-Limit Hold'em Shootout earlier this summer. Zurr sprinted to the gold in record fashion. Although the short levels promised action — and the players surely delivered on that promise — getting down from 27 to one in just under five hours of play was none other than record-setting. 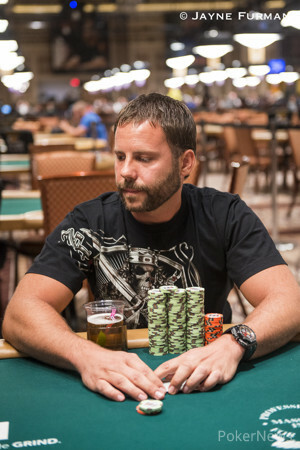 Zurr received $223,241 and the first WSOP gold bracelet of his career for his accomplishment. "It’s a dream come true, obviously," an ecstatic Zurr said after the tournament. "This is my third final table in Vegas, but no bracelet. I’m so happy to join the bracelet winners family, also the Israeli bracelet winners family." Zurr became the second Israeli bracelet winner of the summer after Maya's victory in the $1,500 Shootout two weeks ago. "I don't know him [Ben Maya] but we were all aware of his triumph," Zurr said about his countryman. Another fellow Israeli bracelet winner, Asi Moshe, who won a $1,500 event back in 2014, also ran deep in this tournament and finished in 16th place. "We were at different tables, including when it was down to two tables," said Zurr. "I thought this was it for us, but unfortunately he busted." Zurr usually plays slower formats, but opted to jump in this turbo tournament after some wild partying during Independence Day. "Obviously, most of the time I play slow structures and try to bring my edge to the best. But on the 3rd of July there was a 4th of July party, so I didn’t want to play a long deep tournament after partying all night. This turbo $1,000 was perfect for me. I slept three hours, came and with the adrenaline it just did the job without a break. And that lasted all the way until the end!" When asked about poker in Israel, Zurr's smile evaporated. "In Israel poker is still illegal. Unbelievable! It’s considered a game of luck and that’s why it’s illegal. Yet, it is allowed to learn poker. Me and some of my friends we set up the Israeli Poker Academy three years ago, and we’ve had over 2,000 students so far who love the game and want to get better in the game. I hope that one day poker will be legal." Serbia's Ognjen Sekularac finished in second place ($137,909). After winning a huge coin flip with pocket queens against ace-king, Sekularac topped the standings throughout much of the final table. Eventually, the Serbian grinder fell when he limp-shoved ace-deuce during heads-up play. Zurr called with ace-queen to knock out Sekularac. Alex Foxen saw a deep run end in third place ($98,761). Foxen was one of the highlights on the final day. With relentless aggression, Foxen got himself to the top of the standings and kept raising and reraising during the day. After losing a bunch to Sekularac during three-handed play, Foxen three-bet shoved with ace-seven over a raise from Zurr. Zurr also had ace-queen in this hand and busted the final two players with the same hand. 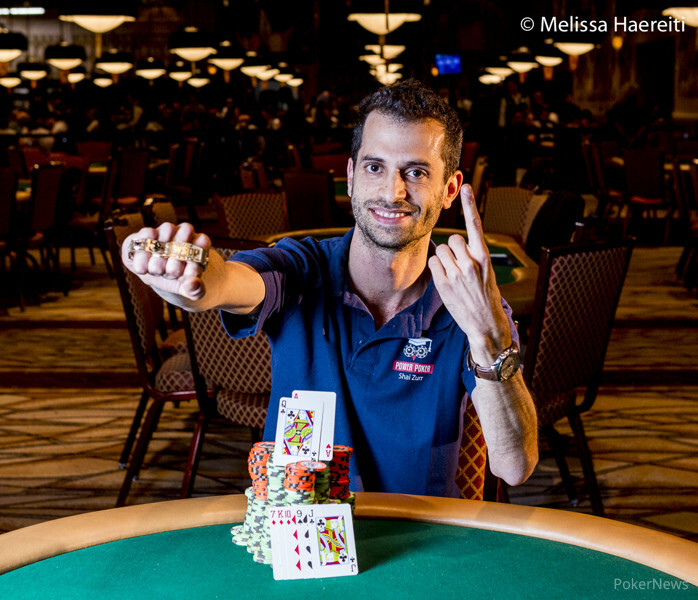 At noon local time, 27 players returned for their shot at WSOP glory. If you blinked, you probably would've missed a bustout, as no less than eight (!) players busted during the first 30 minutes. The second level of the day kept up the pace with five players to the rail, which left just 14 players after one hour of play. After the furious opening phase, the action slowed down slightly as players refused to bust, but with levels of just 30 minutes, the pace remained at a furious pace. At the end of the third level, Sekularac got it in for heaps against Cristian Guerra with pocket queens against ace-king and held up. Guerra got knocked out shortly after, as did Anton Bertilsson and Yiannis Liperis. 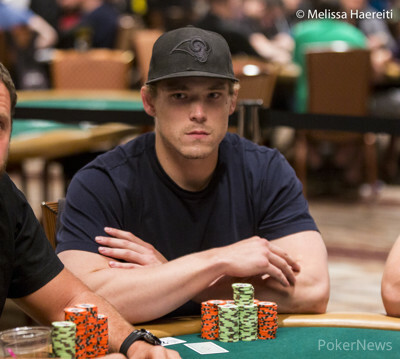 Start-of-day chip leader Dylan Linde finished in 11th place, and it was once again Sekularac who pulled the trigger. Sekularac had moved in with king-six and Lynde called with king-ten, but a six landed on the turn to end the WSOP Circuit ring winner's run. David Valcourt missed out on the official final table by losing a flip with pocket fours against ace queen. 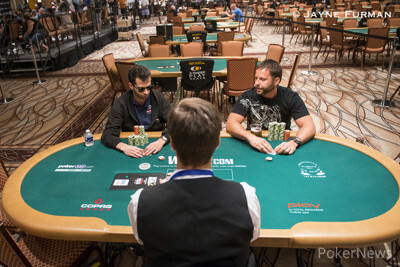 The final table was played out over just 71 hands before Zurr was crowned champion. Joseph Liberta was the first one out after losing pocket sixes to Erick But's ace-king. Liberta received $17,019 for his ninth-place finish. Retired Navy hero John Brown reshoved ace-three into Foxen's pocket nines and finished in eighth place ($23,143). Aaron Hirst (seventh - $29,162) was down to 1.5 big blind under the gun when he went for it. Holding nine-seven, he got it in against Zurr's king-ten and didn't improve. Phong Nguyen finished in sixth place and received $38,869. Nguyen was all in with queen-ten and got called by Sekularac and Foxen. Nguyen didn't improve and Foxen's one pair secured the knockout. Erick But lost the most important all-in of his poker career in fifth place. Holding ace-jack, he was up against Sekularac's king-queen, but a queen on the flop spelled his demise. He got $52,424 as a consolation prize. Jonathan McCann was short throughout the final table, but laddered himself up quite nicely to fourth place ($71,540). With his last five big blinds, McCann succumbed to Foxen when Foxen's king-ten hit a ten against McCann's king-jack. Three-handed play started with Sekularac and Foxen in the lead, but Sekularac quickly distanced himself by dragging a few pots off the American. The relentless structure didn't allow for too much room, and Foxen quickly found himself down to less than 20 big blinds. Foxen reshoved ace-seven into Zurr's ace-queen, caught a seven on the flop, but Zurr rivered an ace to end Foxen's run in 3rd place ($98,761). Heads-up play lasted just seven hands before it was done. In the sixth hand, Zurr made trip deuces to extend his lead before it all ended in the seventh hand. Sekularac limped in with ace-deuce, Zurr raised with ace-queen, Sekularac went all in, and Zurr called. The Serbian didn't improve and received $137,909 for second place. Zurr got swamped by his ecstatic rail, captured the second Israeli WSOP gold of the summer, and claimed the big first-place prize of $223,241. Hand #71: Ognjen Sekularac limped in on the button, Shai Zurr raised to 330,000 in the big blind, Sekularac shoved a little over 2,000,000, and Zurr put a large stack of chips in with a bang. The Israeli rail went in a frenzy and ran to the table to cheer their champion on. The tournament director moved them back behind the rail as the dealer spread out the flop. The turn was the and Sekularac was left drawing to the deuces to survive. The river was the and Zurr raised his fist in victory. He quickly got swamped by his friends and together they cheered the second Israeli bracelet of the summer. Sekuralac saw a great run end in second place and he received $137,909 in prize money. Hand #70: Shai Zurr raised to 190,000 and Ognjen Sekularac called. Both players checked the flop and the turn was the . Sekularac bet 220,000 and Zurr called. The river was the and Sekularac bet 325,000. Zurr then raised to 840,000 and Sekularac eventually called. Zurr showed and won the pot, extending his chip lead. Hand #65: Shai Zurr gets a walk. Hand #66: Zurr raised to 190,000 from the button, Ognjen Sekularac three-bet to around 580,000, and Zurr folded. Hand #67: Sekularac raised to 160,000 from the button and Zurr called. The flop came and Zurr check-folded on the 105,000 bet of Sekularac. Hand #68: Zurr raised to 190,000 from the button and Sekularac called. The flop came and Sekularac check-called the 170,000 bet of Zurr. The turn brought them the on which they both checked. They also both checked on the on the river. Sekularac showed but Zurr had the better hand with the and took the pot. Hand #69: Ognjen Sekularac raised to 160,000 from the button. Zurr folded. The two remaining players are on a 15-minute break before heads-up play commences. 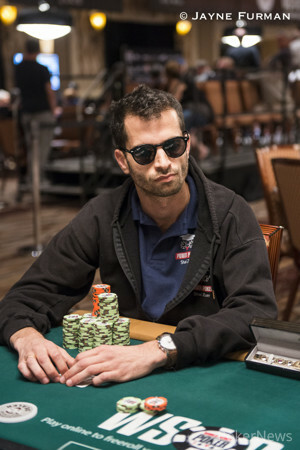 Hand #64: In the last hand before the break, Shai Zurr raised to 140,000 on the button. Alex Foxen three-bet shoved over a million from the big blind, and Zurr snap-called. "Seven one time!" begged Foxen's rail. They received their wish when the dealer spread out the flop, pairing Foxen's inferior kicker. The on the turn was safe for the American, but the on the river gave Zurr the winner with a pair of queens. Foxen headed to the rail in third place and boosted his bankroll with a massive $98,761. Hand #60: Alex Foxen raised to 135,000 on the button and Ognjen Sekularac defended. Both players checked the flop. Sekularac bet 250,000 on the turn and Foxen called. Both players checked the on the river. Sekularac showed for the rivered flush and Foxen mucked. Hand #61: Sekularac limped in from the small blind and Foxen checked his option. Sekularac check-folded to a 60,000 bet on the flop. Hand #62: Sekularac raised to 125,000 on the button. Foxen three-bet to 405,000 in the small blind, but instantly folded when Sekularac pushed. Hand #63: Foxen raised to 135,000 on the button and Sekularac defended. Sekularac opted to lead out for 135,000 on the flop and Foxen folded.